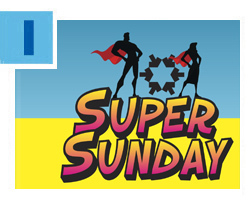 Faster than a speed-dialed phone call… more powerful than a strong Internet connection… able to touch thousands of lives with a single donation… It’s Super Sunday and Good Deeds Day! 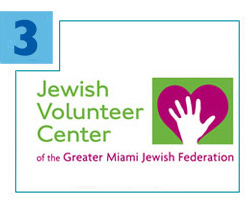 Join us at the Greater Miami Jewish Federation headquarters on Sunday, March 13 for Federation’s largest annual phonathon – supporting Jewish needs in Miami, in Israel and worldwide – and super activities for all ages. Robin and Dr. Baruch Jacobs chair this meaningful day. Click here for volunteer opportunities and other details. 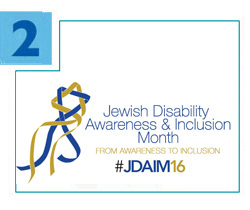 Jewish Disability Awareness and Inclusion Month – a worldwide movement championing the rights of all people to participate fully in Jewish life – will conclude locally on Monday, February 29 with High Functioning, a new documentary about the Israeli autistic community and culture. Sponsored by Federation, the Miami Jewish Film Festival and the Galbut Family Miami Beach JCC (MBJCC) on the Simkins Family Campus, the film will be screened at the MBJCC. Click here for details about the film and here to view the full calendar of events. Do you know a teen or adult who volunteers on a regular basis at a local organization or project? Honor that commitment to service and work in the spirit of tikkun olam (repair of the world) by nominating him or her to receive the Jewish Volunteer Center’s (JVC) Outstanding Volunteer of the Year Award. Winner(s) will be recognized at the Federation Board of Directors meeting on April 19. Nominations are due Monday, March 21. Click here to complete the brief nomination form. 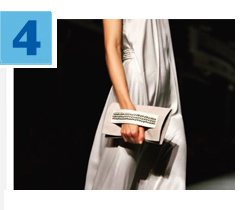 Women’s Philanthropy of Federation invites you to a special program on Monday, March 7, with Sharon Tal, head designer of Maskit, a women’s luxury brand founded by Ruth Dayan. Learn how the ideology to create jobs for new immigrants morphed into Israel’s premier high fashion house, and preview runway looks. The event is presented by the Women with a Cause committee, chaired by Adrienne Messing, and will take place at Temple Emanu-El in Miami Beach. For information about Maskit and to RSVP, click here. 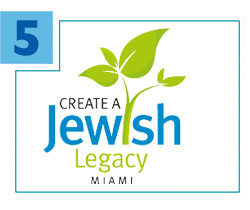 Nearly 600 members of our Jewish community have already committed to include Federation or a Federation partner organization in their estate plan. The Foundation’s Create a Jewish Legacy initiative is gathering personal stories about generous donors for an online “Book of Life” album launching later this year. In words and images, donors and their loved ones can share what motivates them to provide for the future of the Jewish community. For more information, contact Jill Hagler at jhagler@gmjf.org or 786.866.8627.